Vorskla and Qarabağ meet at Stadion Vorskla im. Oleksiya Butov'skogo, in a match for this stage of the UEFA Europa League (Group Stage). Qarabağ registers significant differences between home and away results, so special attention is due to the home/away factor. After 1 win and 2 losses, the home team is currently in the 3rd position, with 3 points won. In the last match, they have won (0‑1) in an away match against Qarabağ, after in the previous round they have lost (1‑2) at home against Sporting CP. This is a team that usually maintains its competitive levels in home and away matches, since in the last 30 matches they register 7 wins, 1 draw and 7 losses in away matches; against 9 wins, 1 draw and 5 losses at their stadium. In their last match, for the Premier League, they got an away win against Lviv by (0‑2). In the last 10 home matches Vorskla has won 6 and lost 4. They haven't been very strong defensively, since they have suffered goals in 7 of the last 10 matches, but their offense has scored frequently, since they have scored goals in 8 of the last 10 matches. In 11 matches, they have conceded the first goal 4 times and have only turned the score around in 1. In the last 6 home matches for all competitions there is 1 period that stands out: they have conceded 3 of their 7 goals between minutes (76'‑90'). We can say that this game is fundamental to the Vorskla's goals in the Europa League, because if the team wins it will enter the fight for a place in the next phase, but in case of defeat it may be practically saying goodbye to the competition. On account of this the team does not want to register a bad result, still more playing alongside its fans, therefore to win is what really matters. The team will need to work hard enough throughout the ninety minutes, having attitude and determination, because only in this way it will achieve its goals. Confirmed Lineup: B. Shust, V. Chesnakov, I. Perduta, O. Chizhov, Artur, N. Yakubu, P. Rebenok, O. Sklyar, V. Sharpar, Y. Kolomoets, V. Kulach. The away team is currently in the 4th position, no points won yet, after 3 losses. In the penultimate round, they have lost a home match agaisnt Arsenal by (0‑3). In the last round, they have lost a home match against Vorskla by (0‑1). This is a team that usually gets better results in away matches than at home, since in the last 30 matches they register 6 wins, 5 draws and 4 losses in away matches, with 13 goals scored and 13 conceded; against 6 wins, 2 draws and 7 losses at their stadium, with 17 goals scored and 15 conceded. In their last match, for the Premyer Liqa, they got a home win against Sumqayıt by (2‑0). 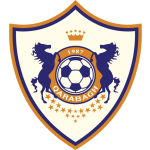 In the last 10 away matches Qarabağ has won 3, tied 4 and lost 3. Defensive consistency hasn’t been their best feature, as they have conceded goals in 4 of the last 5 matches, and their offense hasn’t been one of their best features, as they haven’t scored any goals in 4 of the last 5 matches for this competition. In their away matches there is a tendency for few goals, since 10 of the last 23 matches have ended with Under 1,5 goals and 19 out of 23 have ended with Under 2,5 goals. In 15 matches, they have conceded the first goal 6 times and have never been able to turn the score around. In the last 11 away matches for all competitions there are 2 periods that stand out: they have scored 5 of their 8 goals between minutes (76'‑90'); they have conceded 3 of their 8 goals between minutes (76'‑90'). Qarabag's situation is really critical, because half of the group stage was behind and the team could not add a single point, being logically in the last position. It is really difficult to secure the qualification, but try to show an evolution in the games that are missing, so much so that at least its role will try to play. The team will surely face great difficulties to play away from home, but it needs to overcome this adversity, after all who wants to evolve will need to face all opponents on an equal basis. Confirmed Lineup: H. Halldórsson, J. Rzeźniczak, M. Medvedev, R. Sadıqov, A. Abdullayev, S. Slavchev, W. Guerrier, A. Zoubir, Q. Qarayev, Míchel , D. Delarge. 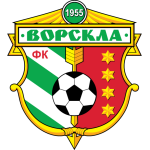 Vorskla is in third place in its group and hopes to get a good result in this round so to continue to fight for a place in the next round of the competition. The away team is in the group's last position and so far has not been able to score points, so it is expected to enter the field with another posture, trying to make an aggressive pressing on the field. This should be a quite closed match, and with much study on the part of both teams. Therefore, a good betting alternative will be that there will be no more than 2.5 goals until the end of the 90 minutes.